Strategically located in the Port of Antwerp, Noord Natie Odfjell Terminals (NNOT) offers a unique combination of storage and related ‘value added’ services for several types of liquids. NNOT has easy access to sea, inland waterways, roads and railways. 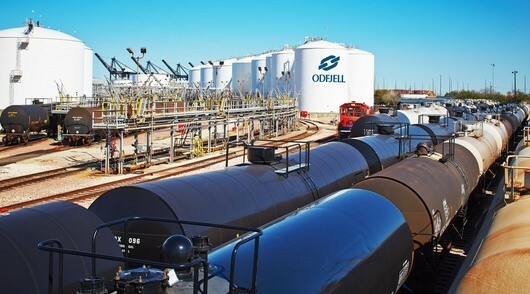 The terminal provides storage and related activities for chemicals, liquids for human or animal consumption, mineral oils, base oil, oleochemicals and biofuels. NNOT offers a unique combination of storage and related value-added services. The terminal has a wide variety of tanks with multiple sizes ranging from 30 cbm to 8,300 cbm of different materials like mild steel, coated or stainless steel tanks, and a variety of types of tank equipment like insulation, steam heating, electrical heating or warm water heating, nitrogen installation and vapor return systems. The terminal has food grade approvals for the storage of food, feed grade chemicals and kosher storage. No matter how specific the storage requirements of the liquids are, a suitable tank will be at hand. Expansion of about 12,700 cbm of stainless steel capacity is underway. 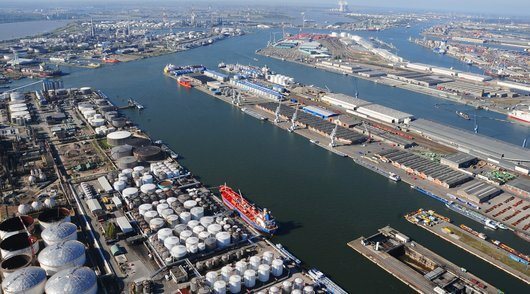 Odfjell has a 25% stake in Noord Natie Terminals.